What makes Ken-Gøran unique is that he is able to play the organ at the same time he is playing the trumpet. This is quite an achievement and an act he likes to bring to his concerts. He can play all from classical trumpet concertos, folk tune, till popular music. He has several Norwegian wedding marches in his repertoire, some trumpet concertos (f.ex. 1st movement from G. P. Telemann trumpet concerto), several Norwegian and Sapmi folk tunes in very different styles and timbres. He also play modern music, like the very famouse theme from the movie "Schindler's list", "Anthem" from the musical Chess. Ken-Gøran Mikkelsen plays often in very varied occations, f.ex in orchestra, in weddings and funerals, etc. He has a big experience on being a soloist, on f.ex. piccolo trumpet, flugelhorn, cornet, trumpet and sopraninocornet. He has played in the professional ensemble Cantus Polaris from 2005 to 2013, until the ensemble was laid on ice. He has played in severals ensembles, f.ex. "L.A.K.K", a project ensemble who was at a tour in 2002-2004, in the northern part of Norway. Has also played a in symphony orchestra in Tromsø with conductor Bjarte Engeset. In his spare time he plays sopranino cornet in Borge Brass Band. Take a look in the video/music section to know him a little better. 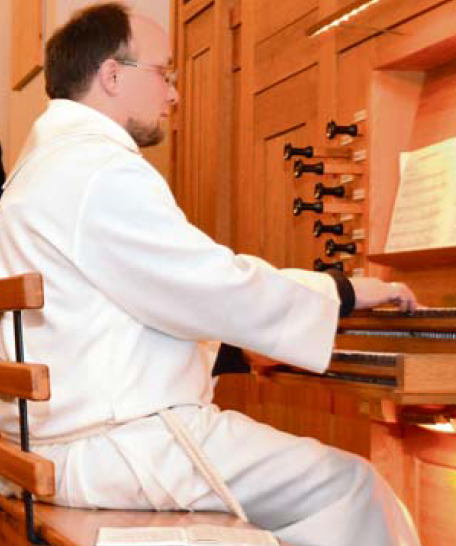 Ken-Gøran Mikkelsen works as a musician in the churches on Vestvågøy in Lofoten islands, particular in the churches in Borge, Stamsund and Valberg. Earlier he worked as a organist in Skjervøy, further north in Norway. So he has a lot of experience of playing to services, weddings and funerals. 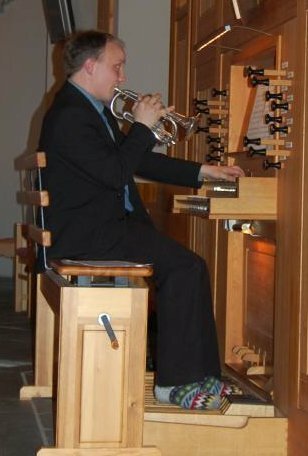 He has also played a lot of concerts on organ, and not at least because of the summerproject in Lofoten, called Lofoten SOMMERKONSERTR.